Haredi student calls police, files complaint against teacher who hit him, but parents drop complaint under pressure from local rabbis. A student in a haredi elementary school in southern Israel called Israel Police after a veteran teacher hit a student hard, Kikar Hashabbat reported. 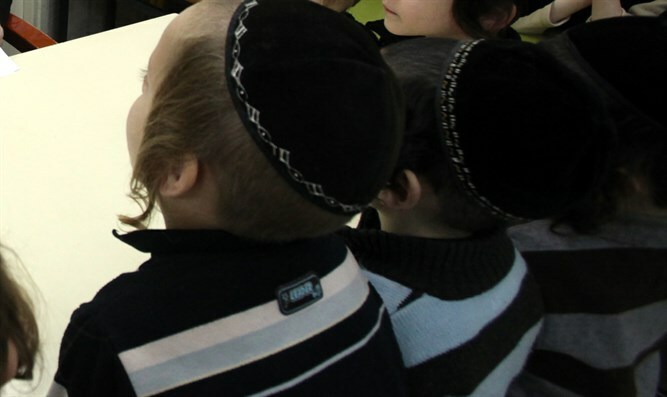 According to the site, the school in question is in a haredi town, and the teacher's smack was a punishment for what the teacher perceived to be the older elementary student's inappropriate behavior. Kikar Hashabbat also noted that the smack in question was not the teacher's first. In response, the student decided to make himself heard, calling the police and filing a complaint against the teacher who hit him. However, several rabbis contacted the student's parents, pushing them to drop the complaint due to concerns that it would "desecrate G-d's Name" and other issues. The parents, unable to withstand the pressure, acceded and dropped the complaint. Several sources in the town, some of them who are graduates of the school in question, told Kikar Hashabbat that, "This teacher has been feared by the students for many years. He hits them brutally, while screaming like a maniac." "Many of the students in this town have been his students. When a student finally gets up the courage to complain, the complaint is dropped. It's infuriating. "Now this violent animal will continue walking freely around his next victims. The next smack is only an issue of time, and it won't take long." Kikar Hashabbat noted that the school and individual in question completely deny the events.